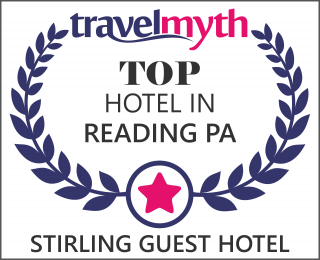 Stirling Guest Hotel has 15 guest rooms each with a private bathroom. The mansion holds nine suites on the 2nd & 3rd floors, which are all restored to their Victorian grandeur. Each is adorned with unique furnishings and many retain their hand-painted ceilings. While the remaining 6 suites in the carriage house have their own modern style blended with the industrial charm that the carriage house is known for. *State and local taxes apply to all guest room rates.